Brian Ramirez (BrianRamirez.info) is a Computer Science & Education student at the University of Massachusetts Amherst. His research focuses on the development of educational software and computer science education. 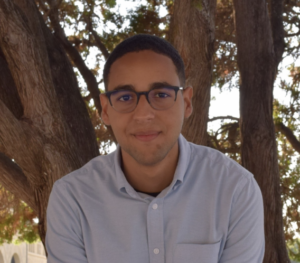 Previously, he has worked at Yale University as a summer instructor teaching Computer Science 247: Mobile App Development. In his free time, he works as the director of HackUMass, one of the largest student-run hackathons in the United States. Dennis Spencer, B.F.A and future grad student. 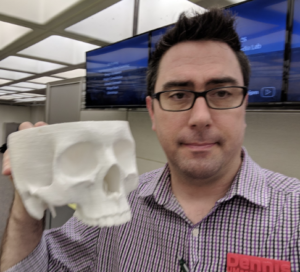 is the 3D Print Services Supervisor in the W.E.B Du Bois Library Digital Media Lab at the University of Massachusetts Amherst. He, with almost 15 years of digital media production experience, consults with and aids the campus body regarding video, audio, animation, 3D model, and 3D print production. 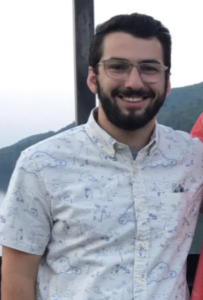 Jacob Bensco is pursuing a M.Ed at UMass Amherst, with the intention to teach High School History. His personal research interests include social justice education, disability and inclusion, and outdoor education.